The SW1000 is designed for use in telecommunication and power distribution applications where an uninterrupted load is switched. These contactors are primarily for use with Direct Current loads but can also be used with Alternating Currents. The SW1000 features double breaking main contacts with silver alloy tips which are weld resistant, hard wearing and have excellent conductivity. Silver plating on the main contacts is standard for the SW1000, however, optionally it can be excluded from the specification. This compact contactor can be busbar mounted vertically or horizontally, but if mounted vertically, the coil should be at the bottom. If the coil is required at the top, we can adjust the contactor to compensate for this. 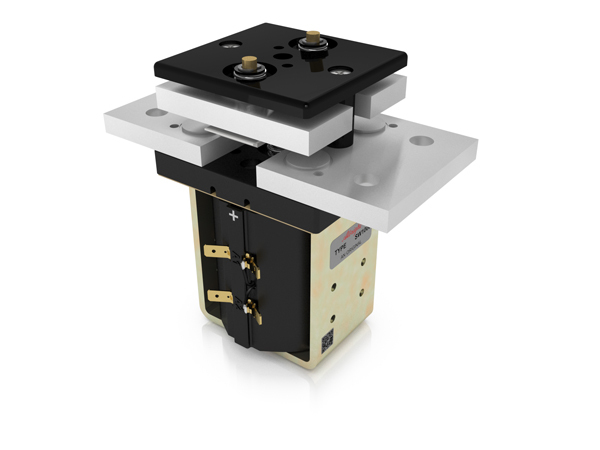 Optional extras include auxiliary switches, brackets, coil finishes and magnetic latching which allows the contactor to remain closed while consuming no coil power. No Blowouts 1800A at 60V D.C.